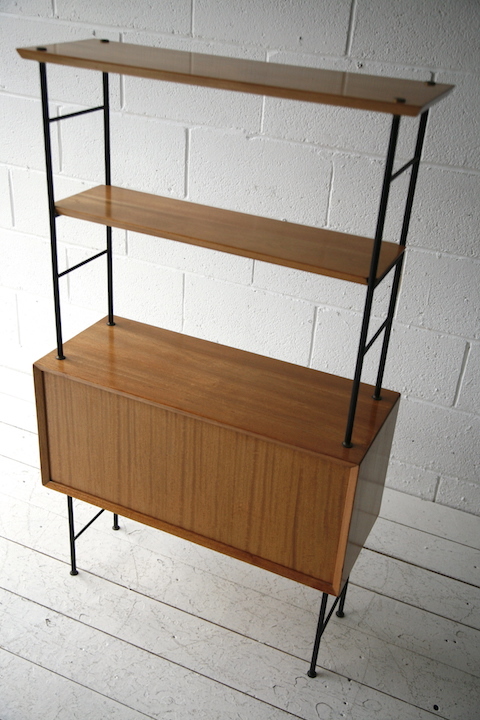 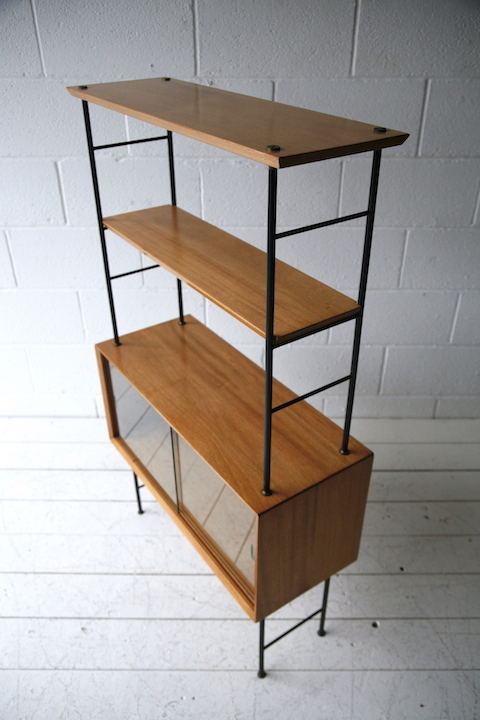 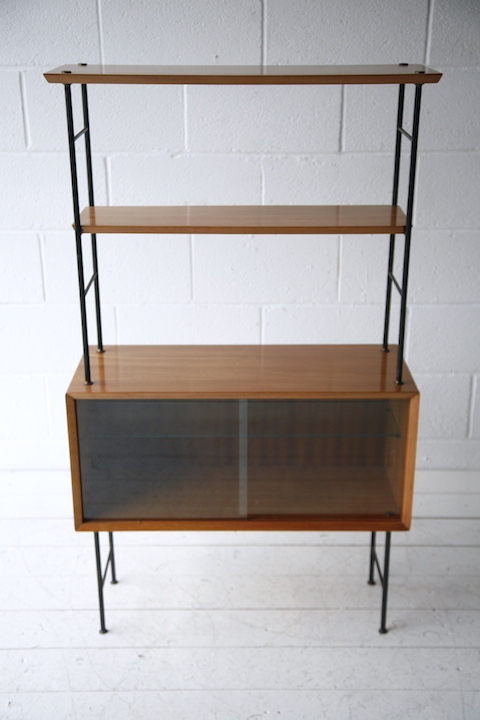 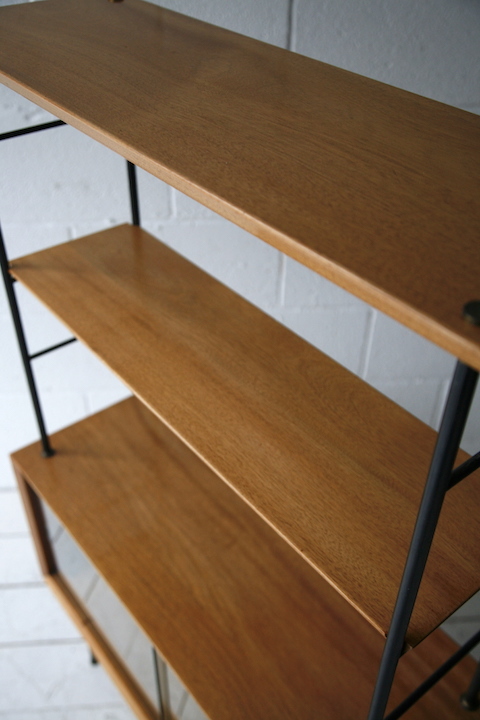 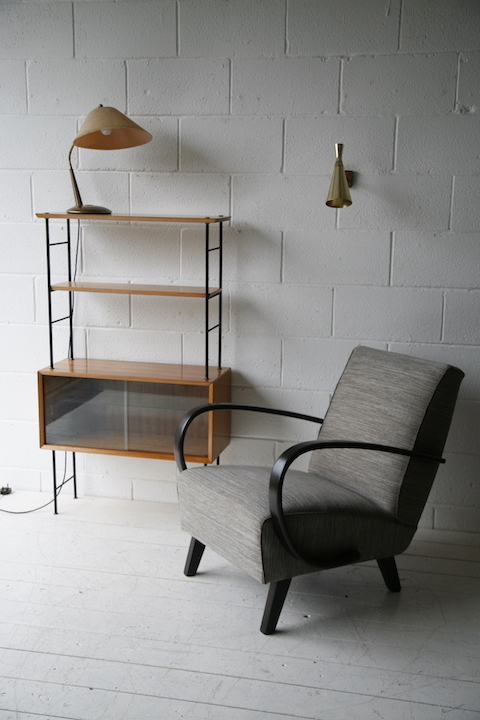 A lovely 1960s teak shelving unit. 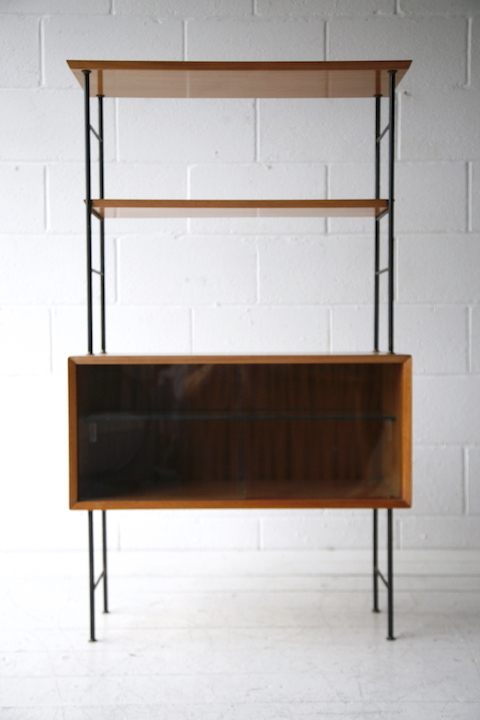 With glass cabinet and internal glass shelf. 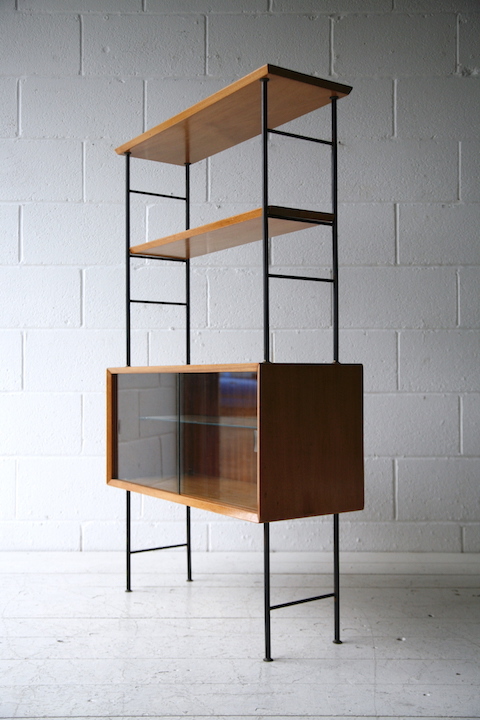 In very good restored condition with some age related wear on the steel frame.